Powerful CPanel Servers at Google Sydney. The only Hosting company offering to host your site within google’s own infrastructure in Sydney. Every client is assigned a dedicated service manager. Your point of call for all issues with your website and hosting. Personalised experience that you will not get with any other competing service provider. You will not need to explain who you are, or explain the details of your site. You will always deal with the same person on every interaction. 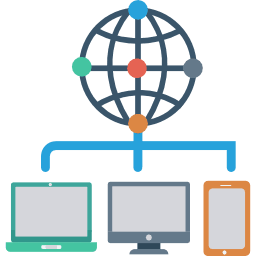 We know from experience support tends to be the most frustrating aspect of the management of your web and email operations. Being forced to wait for livechat, open tickets, remember logins. These can all make for a painful user experience. You do not have to jump through any hoops to get in touch with your personal service manager. Reach out 24/7 by SMS, iMessage, WhatsApp or Email for a same day response. We resolve your issue online or arrange a convenient time for a call back. Our sites are optimised in the extreme for Australian business wanting to succeed online these solutions are optimised solutions for those utilising WordPress & Woocommerce. Please ask about our Moodle, Mautic and LimeSurvey specific managed hosting solutions. Perfectly configured to handle the stress and workload of compute intensive WP plugins and applications like Listify, EngineThemes or complex WooCommerce sites. We offer far more processing power and website performance than leading competitors ensuring your website is not subjected to arbitrary limitations and is continuosly available. Want to outrank your competitors in search? Then the speed at which Google can connect to you is incredibly important. Google considers a fast site a marker of a quality user experience? We offer some of the fastest possible pipes to the internet. Hosted within Googles own data centres puts you at a distinct advantage over your competitors.